Unfortunately, the struggle to zip up your jeans isn’t the only problem this complaint presents: Some people suffer from bloating so severe that it has a huge adverse impact on their day-to-day activities and quality of life. What causes bloating? And what’s the best way to treat it? 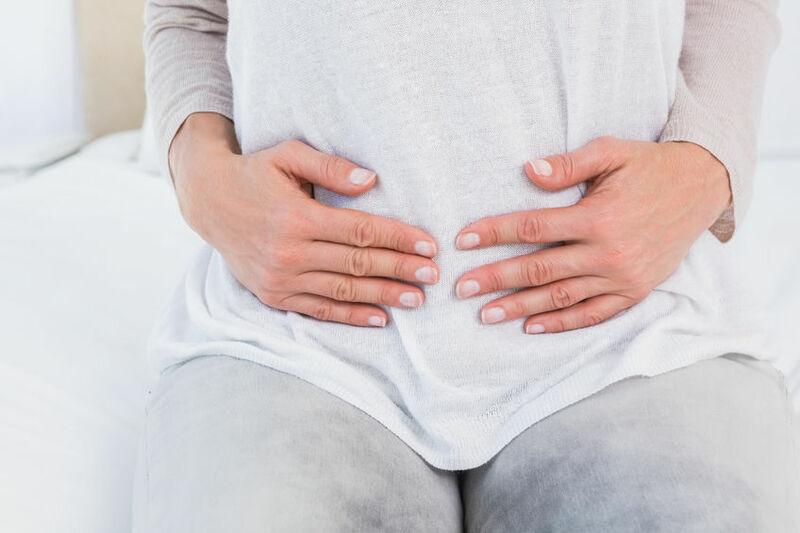 Constipation is a common cause of bloating, but people who suffer from constipation don’t necessarily experience symptoms of bloating and discomfort. According to The Gut Foundation, nearly one in five people over the age of 30 will have constipation at some stage of life. Normal bowel function ranges from one or two stools a day to one stool every three to four days, but if your stools are hard or lumpy, and you have to strain to go, you’re constipated. The first step is to ensure you’re getting enough fibre and fluids. Most adults should aim to consume at least 30g of fibre per day, along with adequate fluids. (The fibre absorbs the fluid to keep your stools soft and easy to pass.) You can increased your fibre intake by eating more wholegrain breads and cereals, beans, lentils, fruit and vegies. Some people find that eating extra fibre worsens wind and bloating. If this is the case, you may have ‘slow-transit constipation’, a condition in which your bowel is a bit sluggish in moving things along. Laxatives can be an effective solution, but some laxatives are inappropriate for long-term use, so seek medical advice. Exercise is a great treatment for this type of constipation, as walking and jogging help keep you regular. IBS is probably the most common cause of bloating — up to 90% of people with IBS report bloating among their symptoms. IBS is a functional bowel disorder, meaning that no structural problems are visible in the bowel, but that it works in a somewhat abnormal way. IBS sufferers experience abdominal pain and discomfort, along with changes in bowel habits (constipation or diarrhoea, or both), and they can often suffer from excessive gas, bloating and abdominal distension. IBS is classified as either IBS with constipation (IBS-C), IBS with diarrhoea (IBS-D) or IBS with fluctuating diarrhoea and constipation (IBS-M). Studies show that people who have IBS-C are more likely to experience bloating. Interestingly, people with IBS don’t actually produce more gas, but for some reason, the nerves in their bowel are more sensitive to the gas they do produce. Treatment for IBS varies, as it all depends on the individuals’s symptoms and type of IBS. The most effective approach is a combination of positive dietary changes, stress management and medication (which includes laxatives or drugs that stimulate movement through the bowel). Exercise is another valuable approach: In a 2006 Spanish study, subjects who rested after they’d eaten a meal experienced significant gas retention. But exercise subsequently reduced this retention by 50%, and subjects experienced fewer IBS symptoms, including bloating. FODMAP is an acronym for the scientific names of particular short-chain carbohydrates. FODMAPs include lactose (milk sugars), fructose (fruit sugars), fructans (components of wheat, rye, barley, onion, garlic and some fruits, vegetables and nuts), polyols (components of many artificial sweeteners and some fruits and vegetables) and galacto-oligosaccharides (components of legumes and some nuts and vegetables). Some people can’t tolerate foods that contain FODMAPs. For reasons that experts don’t fully understand, these people have difficulty absorbing these naturally occurring sugars from the small intestine. As a result, they move into the large intestine, where gut bacteria ferment them, producing gas that causes wind, bloating and distension. In a hypersensitive intestine, this can also spark reflexes that either quicken the bowel (resulting in loose, urgent stools) or slow it (resulting in constipation). If these sugars are disturbing your digestive system, you need to reduce your consumption of high-FODMAP foods. Doing so can make a real difference to your bloating, but you may have to follow a low-FODMAP diet trial for several weeks before you start to see results. If you suspect you suffer from a sensitivity to FODMAPs, the best approach is to see an accredited practising dietitian who’s experienced with low-FODMAP diets. He or she can steer you through the trial and challenge process, which involves eliminating and then gradually reintroducing FODMAP foods. Only some people have trouble with all of the FODMAPs – your system may be sensitive to just a couple. This is important to note because the strict low-FODMAP diet cuts out many healthy foods. These include high-fibre foods, which are essential to good bowel health. For that reason, it’s best to have a health professional help you identify your individual triggers and thresholds. You need to make sure you’re not following a diet that’s more restrictive than necessary for the long term. Lactose is the sugar in milk and milk products — it’s a disaccharide, one of the five types of FODMAPs. However, lactose intolerance can occur independently of other FODMAPs if you’re deficient in lactase, the enzyme that breaks down lactose to enable its absorption. When gut bacteria ferment unabsorbed lactose, bloating results, and is often accompanied by nausea, diarrhoea and abdominal cramps. A stomach bug can trigger a temporary bout of lactose intolerance, and our lactase production can slow as we age. Lactose intolerance is also more common among certain ethnic groups, particularly in people of Asian, African and South American descent. If lactose plays havoc with your digestion, you’ll have to reduce the amount of lactose in your diet – in other words, limit or avoid foods that contain this milk sugar. This can be a process of trial and error, as most lactose-intolerant individuals still produce some lactase, and the amount they produce dictates just how much lactose they can consume without experiencing discomfort. Milk and custard have the highest amounts of lactose, whereas yoghurt often contains much less, as the bacteria used in yoghurt-making ferment much of this milk sugar. Hard cheeses and butter contain negligible amounts of lactose; soft cheeses and cream have small amounts. Once you reduce or remove lactose from your diet, those uncomfortable symptoms of bloating should quickly subside. Many people find that certain foods can cause some degree of bloating, and legumes are a well-known offender. Legumes, or pulses, include chickpeas and lentils as well as beans, such as soybeans, kidney beans, borlotti beans, cannellini beans and good old baked beans — the musical ‘fruit’ that makes you toot! All of these contain the FODMAP galacto-oligosaccharides, which the small intestine finds difficult to absorb. When this FODMAP reaches the large intestine, gut bacteria ferment it, resulting in gas and bloating. You could cut legumes out of your diet, but they’re really nutritious, low-GI foods that provide protein and fibre, plus many health benefits. Legumes are also a key source of protein for vegetarians. Luckily, you can reduce legumes’ gas-producing properties before you cook them. If you’re using dried legumes, prepare them the traditional way: Ssak, rinse and cook them in fresh water. If you prefer the canned variety, rinse and drain them thoroughly (unless they’re baked beans, of course). Most people can build up their tolerance of legumes, so start small and gradually incorporate growing amounts of them into meals on a regular basis. It’s also worth trying different types of legumes, as you may tolerate certain kinds better than others. If you have coeliac disease, eating gluten triggers an immune reaction in your small intestine, damaging the intestinal wall and reducing its ability to absorb nutrients from food. This can cause symptoms such as bloating, along with diarrhoea, nausea and abdominal pain. This poor nutrient uptake also means that weight loss and deficiencies in certain vitamins and minerals, such as iron and vitamin D, are common, though some lucky people experience no symptoms whatsoever. 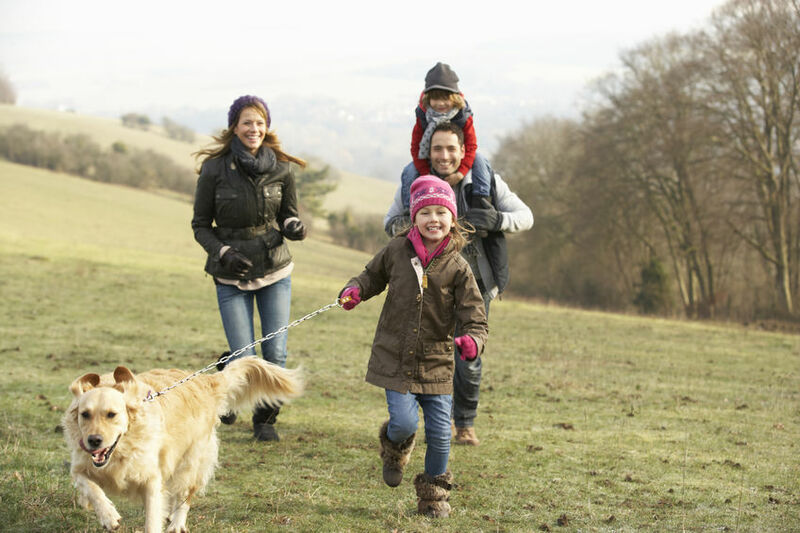 In children, unmanaged coeliac disease can affect normal growth and development, and they typically suffer from a very distended stomach and have thin arms and legs. The standard treatment for coeliac disease is a strict gluten-free diet for life. Due to the restrictions of this diet, it’s important not to self-diagnose this condition. It’s also crucial not to cut gluten from your diet before being tested for coeliac disease, as the tests require you to be eating gluten at the time. Gluten is the protein in grains such as wheat, rye and barley, so following a gluten-free diet means forgoing many breads, cereals and grain foods. You can replace these with gluten-free alternatives and gluten-free foods. Grains that are naturally free of gluten include rice, corn, quinoa, buckwheat, amaranth and sorghum, so you can also eat products made from these grains. The gluten-free diet is strict, but the good news is that once you’re following the diet, your intestinal wall will recover and your bloating will resolve. Most people think of bloating and abdominal distension as the same thing, but they’re quite different. Bloating is the sensation of increased abdominal pressure, whereas distension is an increase in abdominal size. These conditions often occur together; however, many people experience bloating without any measurable distension. In recent years, our understanding of bloating has improved, but there’s still a lot we don’t know. This condition involves many problematic factors, so its causes and treatment vary from one person to the next. These pages will help you identify the most common causes and their most effective treatments. You’ve suffered from a recurrent sensation of bloating or visible distension for at least three days every month. You’ve experienced symptoms for at least three months. Your symptoms started at least six months ago. You don’t meet any of the criteria for a diagnosis of IBS, indigestion or any other functional digestive disorder. Is my bloating a sign of something more serious? Bloating generally fluctuates in intensity, often improving overnight and worsening during the day, particularly after eating. Although it can be unpleasant and uncomfortable, its causes tend to be otherwise harmless. But if your bloating persists day and night, progressively worsens over time or is accompanied by symptoms such as weight loss, nausea, abdominal pain, changes in your bowel habits or blood in your stools, it’s important to tell your doctor — especially if all of these symptoms sound familiar. You need to rule out more serious causes of bloating, such as ascites (due to liver failure) and tumours, such as bowel cancer and ovarian cancer. 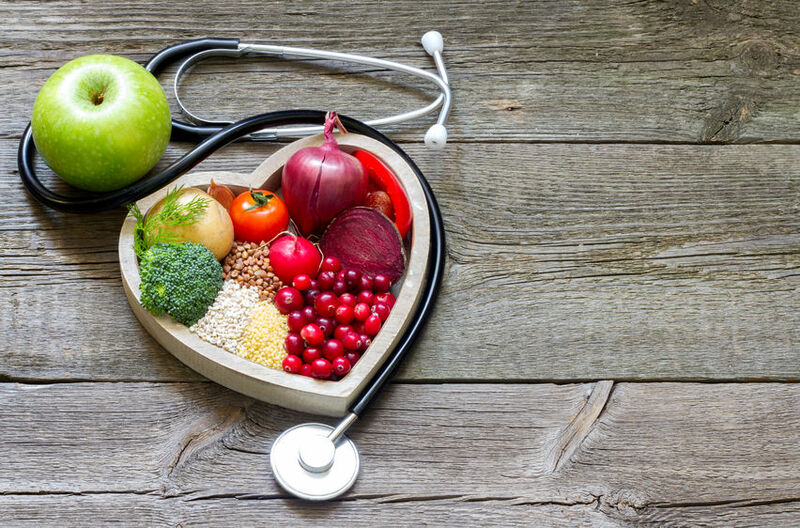 If you are struggling with bloating, or other digestive problems, Northside Nutrition and Dietetics has a dietitian with expertise in the dietary management of digestive conditions and food intolerance, including low FODMAP diets. To book an appointment with Marie Ward, call our office on 9415 4845 or send an online appointment enquiry.